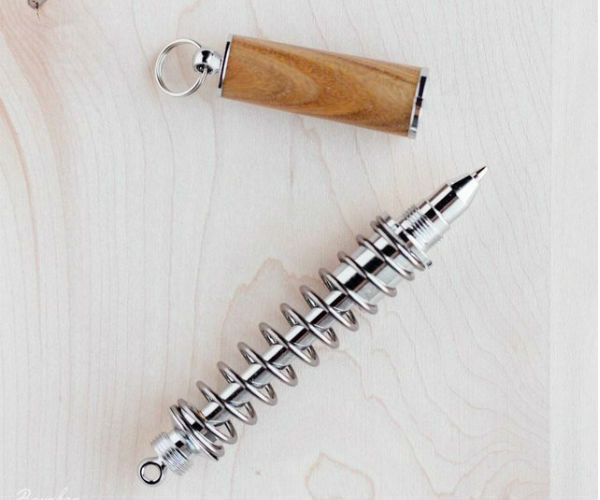 Sign your name on the line with authority when you use the Gearhead Shock Absorber Pen. Totally unique yet complete fit for purpose, this pen looks just like a shock absorber found in cars. 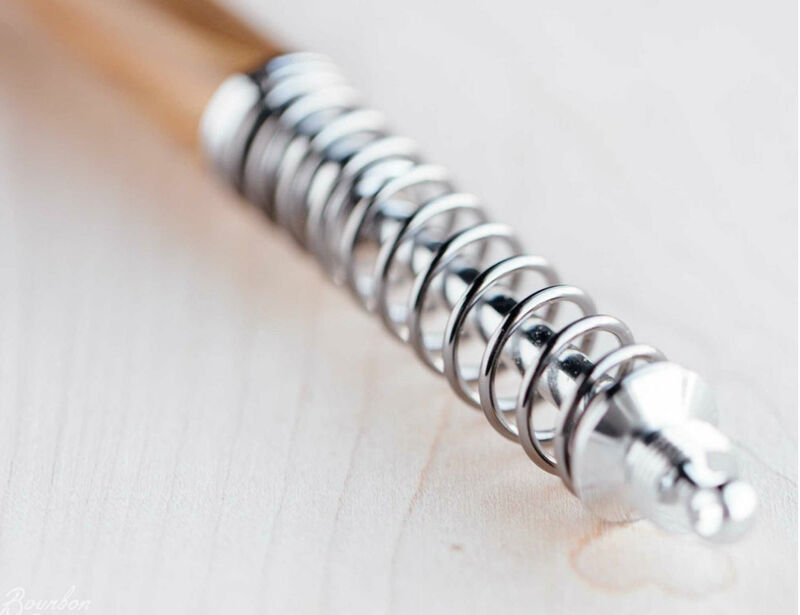 Inspired by and modelled after the real thing, the Gearhead Shock Absorber Pen is a fully articulating metal spring with the ink located inside. 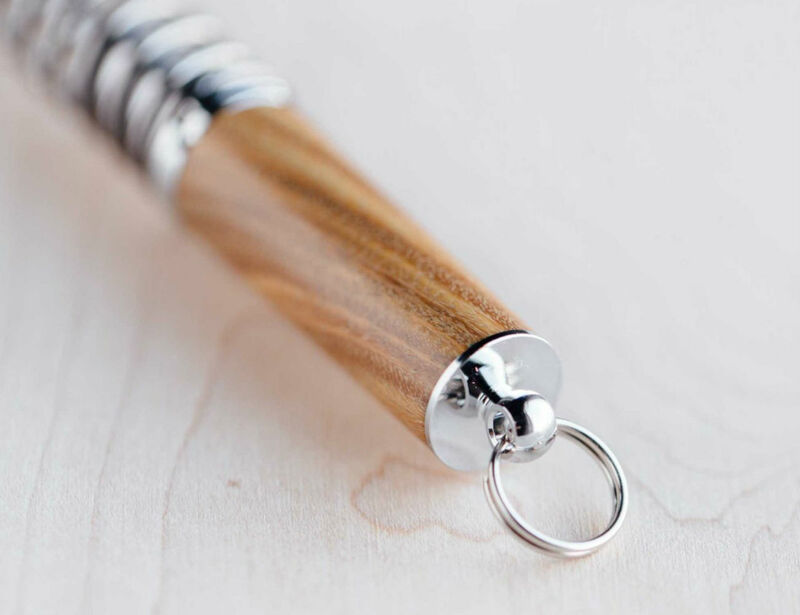 Protecting the tip of the pen is a classic twist cap which is made from luxurious Lignum Vitae wood that has been hand shaped, hand polished, and hand sealed to be preserved and last a lifetime. 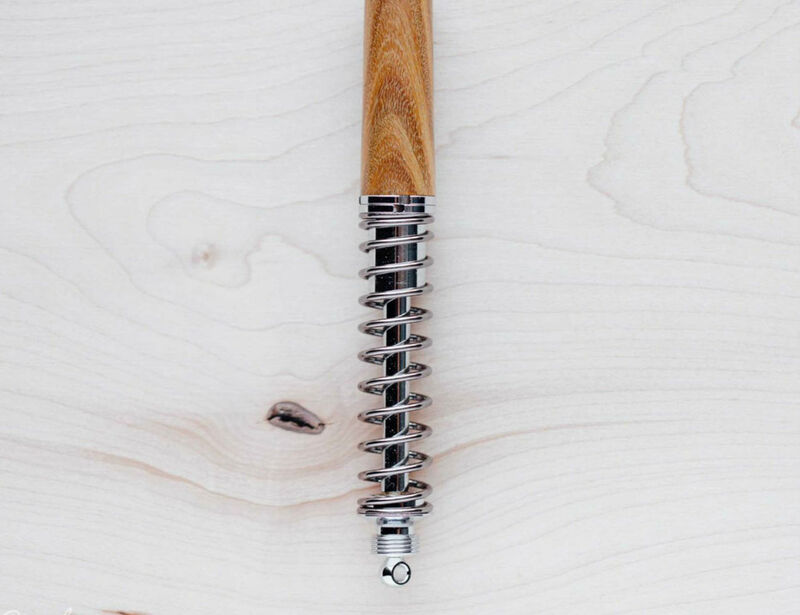 Perfect for car enthusiasts or just those who want to add something unique to their collection, the Gearhead Shock Absorber Pen writes as elegantly as it looks.